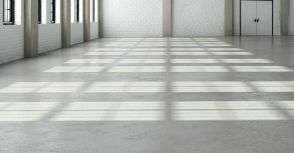 What do we call screed floor,and why choose our company? The screed is that concrete layer, wich gets under the casing directly during the implementation. The reason you should choose floor screed at construction? From financial considerations our company advice you to choose pebble concrete at making screed instead of conventional flooring concrete screed. Estrich concrete is the most progressive available technical solution for floor-laying. A little comparison: if you decide to choose our company, we can prepare the spreading of concrete with 3 mm tolerance level, and big solidity at his flat or his house. With the floor screed technology you can get the best quality of concrete layer for less money! For example: to create a screed at a house of 120 square meter, it takes us a workday.To take on an average mason, the same work will be ready in 4 workdays, and you need to pay for five man. Since they are not able to mix material, like the estrich (screed) mixer, they can not guarantee you the accuracy neither the solidity and cleanness, even beside a taller wage. So the clone concrete can be installed faster (up to 5 times), it faster (2 times) solidifies, it is easily installed and adjusted. Quality - the concrete clone is made, with much less water added, as a result improves the hardness and impact resistance, in addition, concrete clone has much more smoother surface.